The universe brought these two to Chicago. 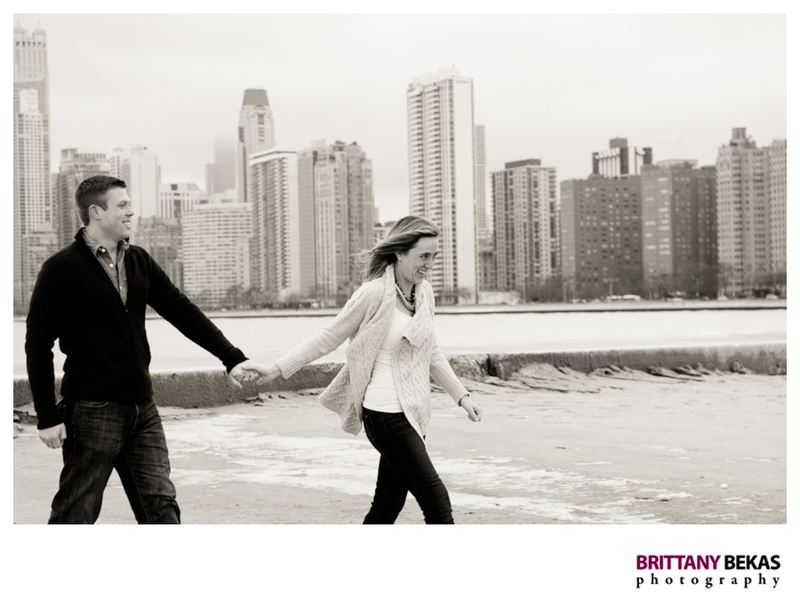 After graduation, Jennifer moved from her hometown of St. Louis to Chicago. She got settled, developed great friendships and enjoyed her single time in the big city. 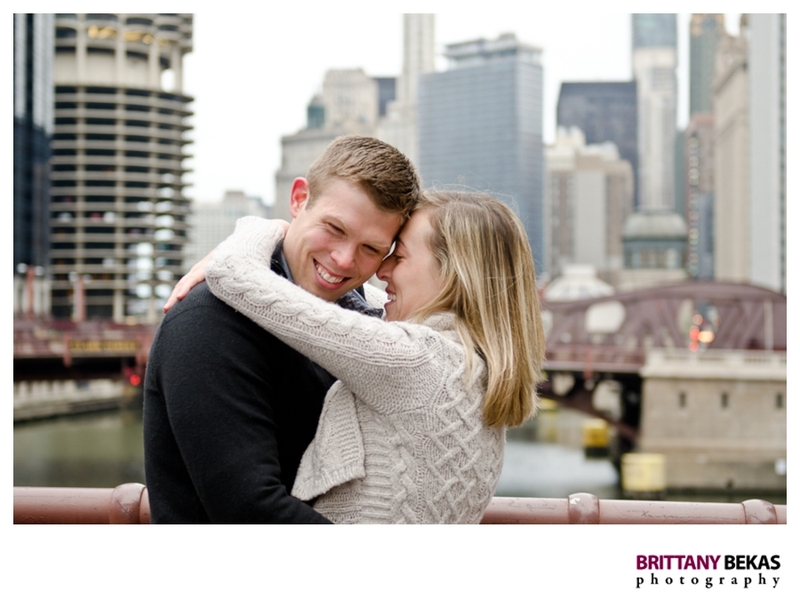 A short time after Jen arrived, Aaron completed law school and also started his life in Chicago. However the two had yet to meet. 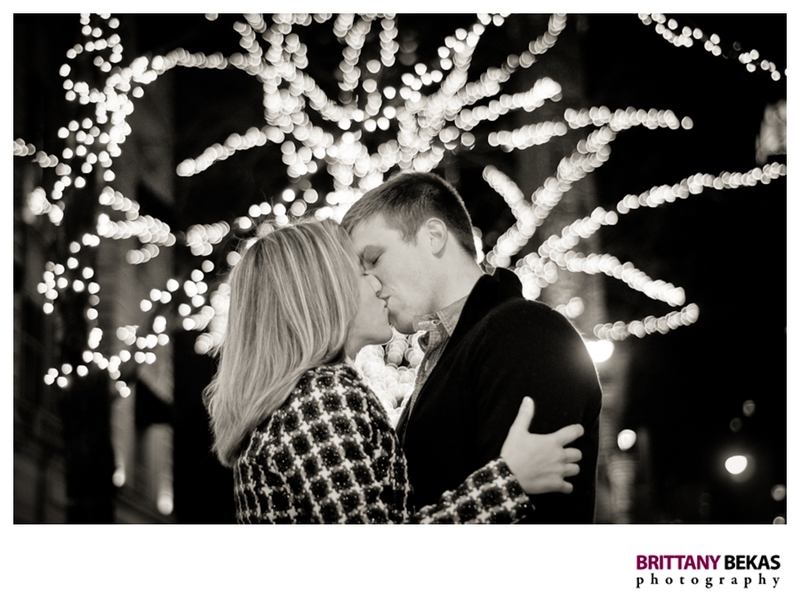 Both were living their lives in Chicago until one night their paths crossed. 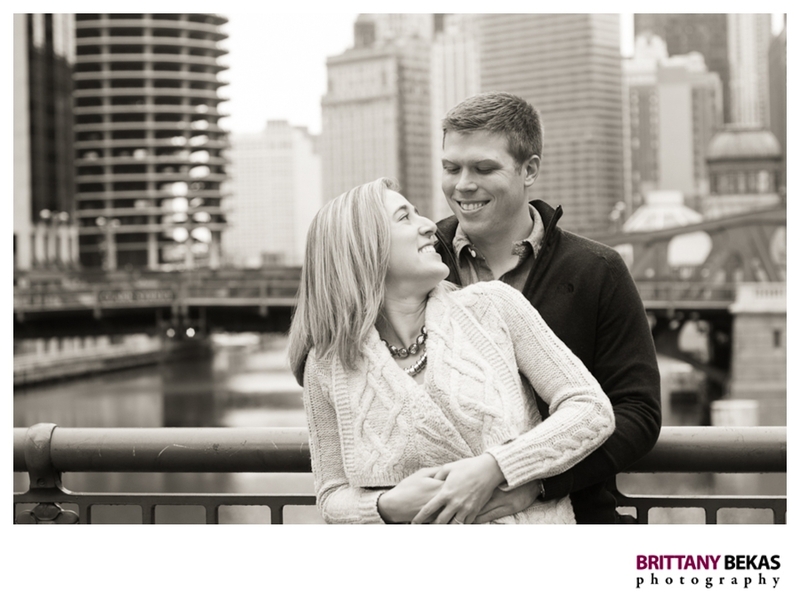 Jennifer went out to a local Wicker Park bar, Boundary, expecting nothing more than a fun evening with friends, but was delighted to meet her future husband. After chatting at the bar, a relationship flourished and the rest is history. 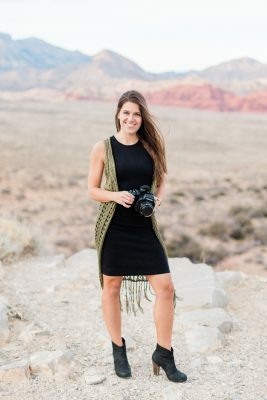 Jen is outgoing, full of life and has a go-with-the-flow type personality. Aaron is a little more quiet, letting Jen take center stage, but has a sense of humor that leaves a group laughing. 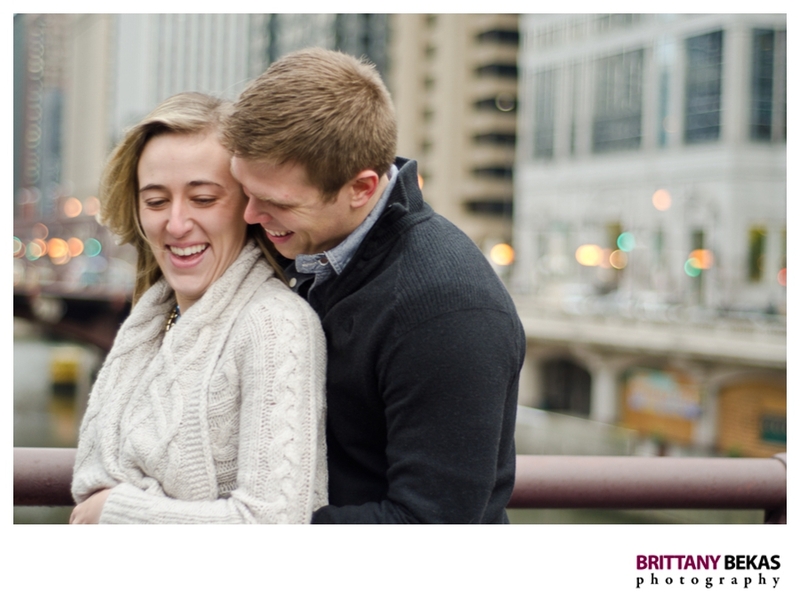 It was clear after spending the afternoon with them wandering around Chicago that they are crazy about each other. 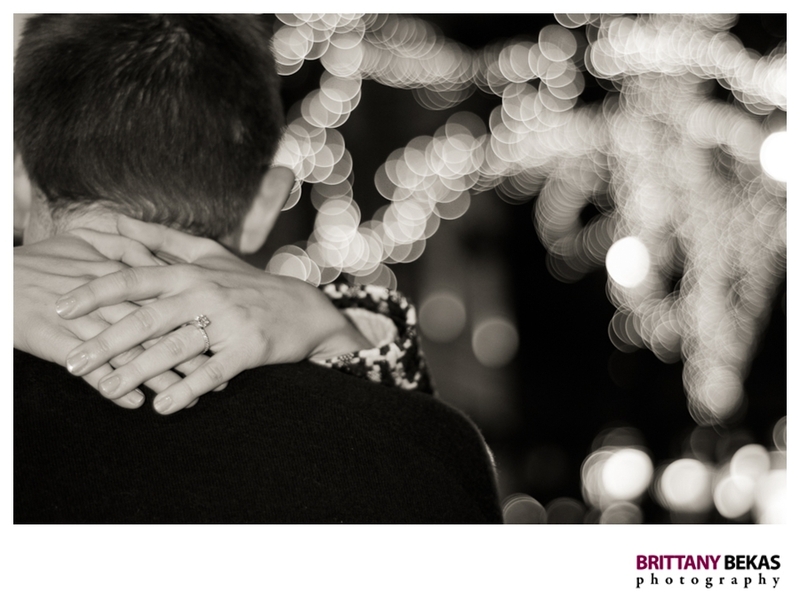 The two are planning a destination wedding in Naples, Florida, but they wanted to take engagement photos in the city that brought them together. 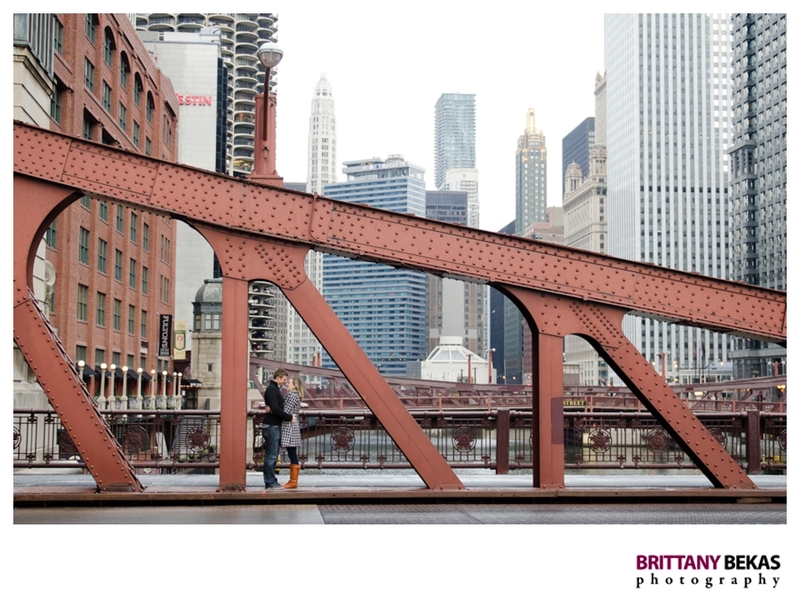 So we met at the Kinzie Street Bridge, exactly where Aaron proposed in February, to capture their love. 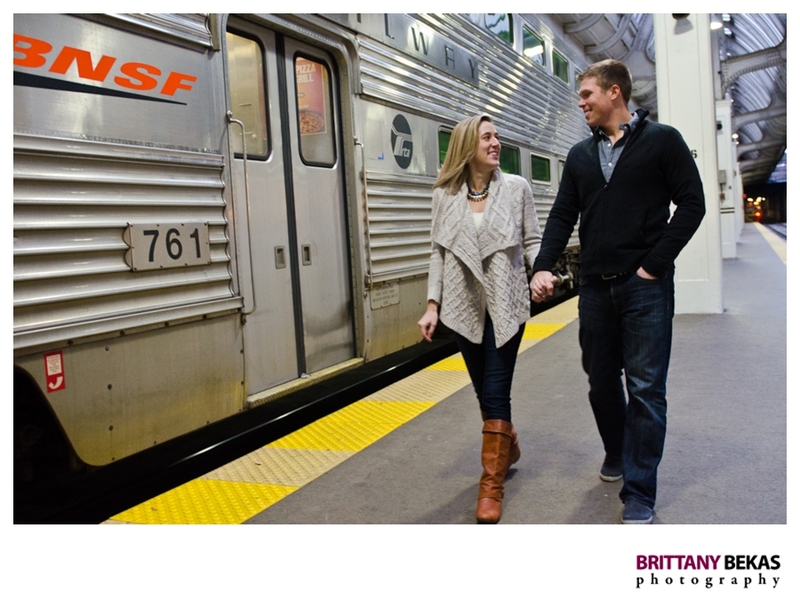 To see more of their Chicago engagement session, feel free to CLICK HERE for a slideshow or simply watch it here….